November 20 (Renewables Now) - The era of auctions and tenders is well and truly upon the wind energy industry, and the supply chain is already starting to feel a pinch. Some companies have reported tighter, and even in some cases negative margins in their Q3 and Q4 quarterly financial disclosures as they reconcile their business with a largely subsidy-free era. A number of supply chain companies have taken proactive measures to reign in costs with layoffs as in the case of Siemens Gamesa Renewable Energy (SGRE). Alternatively, Vestas Wind Systems A/S has announced the closure and relocation of both nacelle and blade manufacturing plants in Spain to China to take advantage of lower cost labour now that EU tax incentives for the Spanish factories have expired. Additionally, some of these companies have taken steps to gain more cost efficiency from scaling their sub-component orders by changing the way their product portfolios are designed. 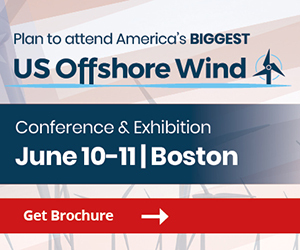 Totaro and Associates have previously written about the potential for companies to achieve higher return on capital by ensuring that they have maximised the re-use of components such as generators, gearboxes (if applicable), and blade manufacturing tooling across a wider range of their wind turbine fleet. This is a concept called modular platform design, and is currently being employed by no fewer than four out of the top five OEMs globally. 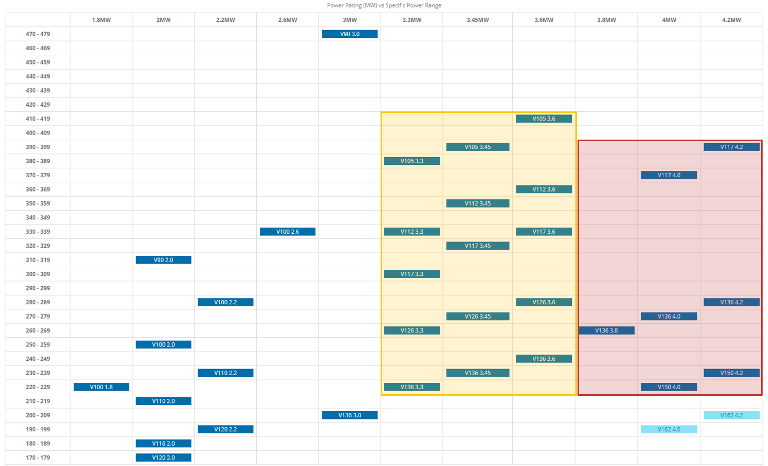 But as we examine a company such as Vestas, for example, we find there are some distinct benefits to supply chain cost optimisation resulting from this shift in product design that are not obvious at first glance. 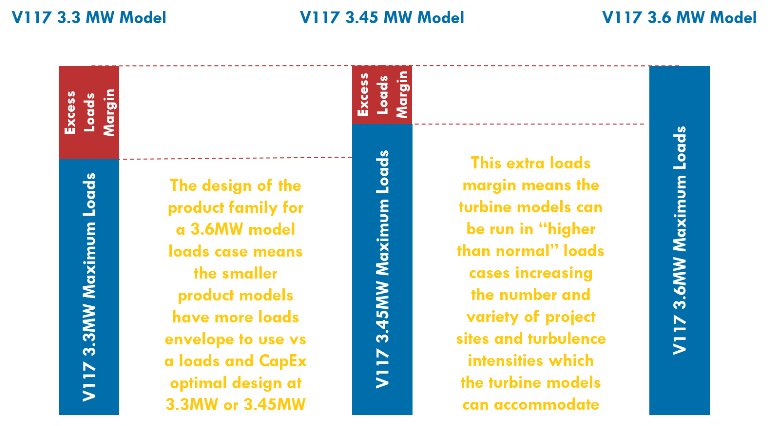 This new modular turbine design philosophy implies that if you have a set of wind turbines with different rotor sizes for distinct wind classes which can be rated at 3.3 MW, 3.45 MW or 3.6 MW in nameplate capacity, and all models are utilising the same or very similar sub-components, then not all of the turbines in that product family have necessarily been designed for an optimal CapEx cost or levelised cost of energy (LCOE) on an individual turbine basis. 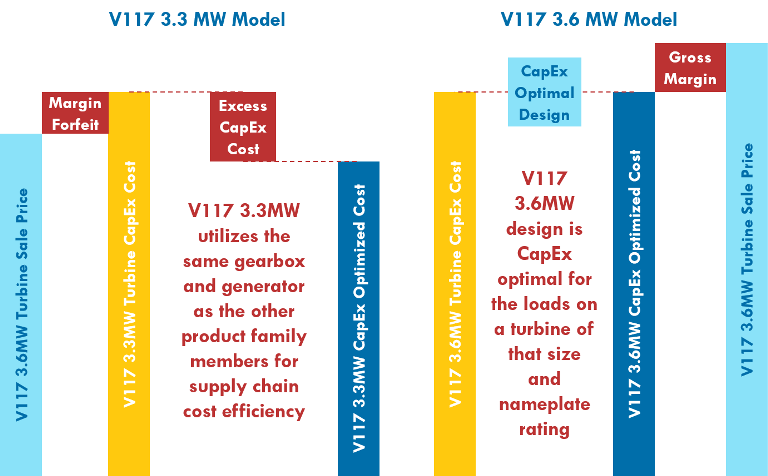 The reason for this sub-optimal cost profile on some models is that since all sub-components in this 3.3 MW–3.6 MW product family must be designed to accommodate this range of nameplate capacities, then the turbines must be designed for the worst case loads in mind. 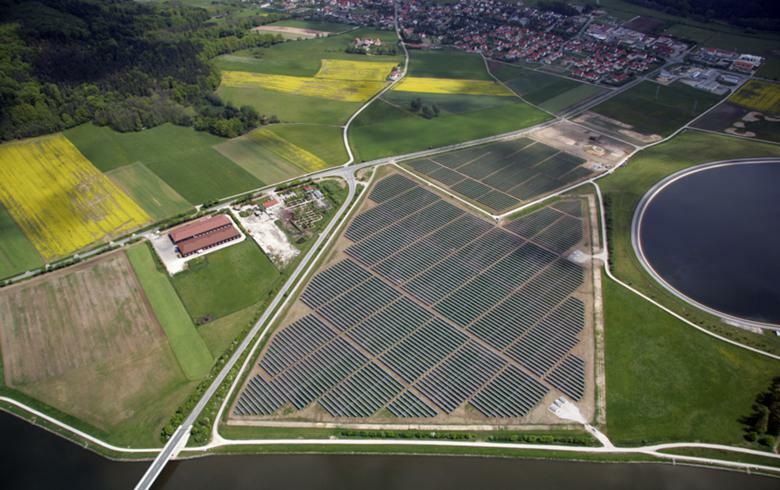 The worst case loads for this particular product family are at the highest nameplate power rating of 3.6 MW. 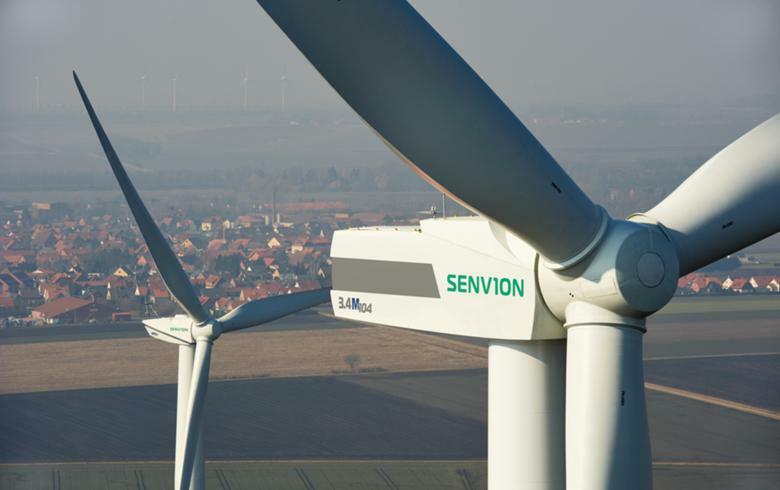 The implication is that the turbines which share a number of the same sub-components, like generators or gearboxes, have those components over-designed for the smaller nameplate power ratings. This over-design comes in the form of extra material usage (and thus extra CapEx) for the worst case of physical loads that a 3.3-MW turbine would feel in a normal operational environment. As a result, profit margins are sacrificed on projects where turbines are at 3.3 MW or 3.45 MW power ratings due to this excess material in the drivetrain and tower due to the design for 3.6-MW series loads. So why would OEMs make this sacrifice to optimise a turbine for CapEx cost on the smaller turbines in the product family? Because the money is made back on supply chain contracts due to this commonality of components across the 3.3 MW–3.6 MW product family. In this case, Vestas has a series of at least 15 different products ranging from a V105-3.3 to the V136-3.6 which all share a common pool of sub-components. This lowers the supply chain costs due to increased order volumes for sub-components across a pool of products which is more widely sold around the world versus the need to have manufacturing tooling for multiple individually optimised turbines which have no component re-use. This approach also simplifies and reduces O&M costs thanks to re-use of components which necessitates less stockpiling. 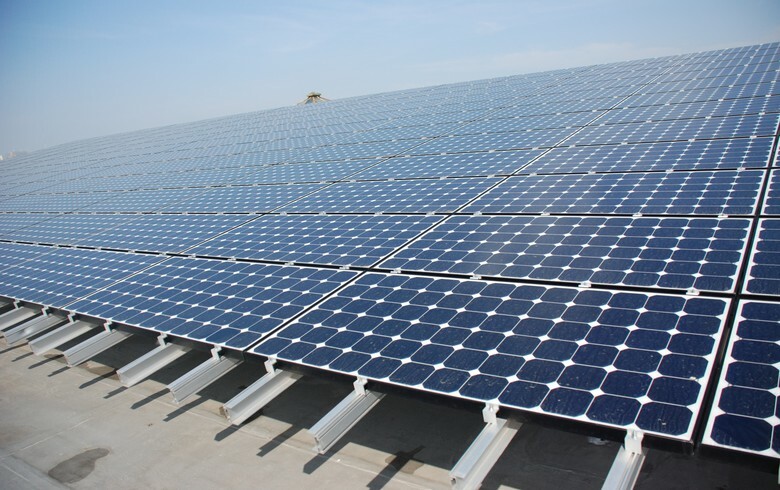 There is a similar implication to their 3.8, 4.0 and 4.2MW product portfolio as well, which also shares sub-components using the same philosophy as the 3.XMW. Thanks to this shift in design philosophy, products are now designed with global production in mind. This allows companies to establish a manufacturing footprint in countries where they can take advantage of cheap labour rates or favourable currency arbitrage to gain back those profit margins which are forfeit on sales of some of the products in the family. Now, with modular designs and the associated manufacturing tooling, regional drops in domestic capacity additions is an opportunity for export production, as in the case of Vestas’ new production facility in Ceara, Brazil. They can manufacture up to the V150-4.2 product for domestic use in Brazil, but they now have an export hub to other South and Central American countries with sales of that product, like in Argentina, in order to justify the CapEx investment in the factory to comply with domestic content regulations in Brazil. 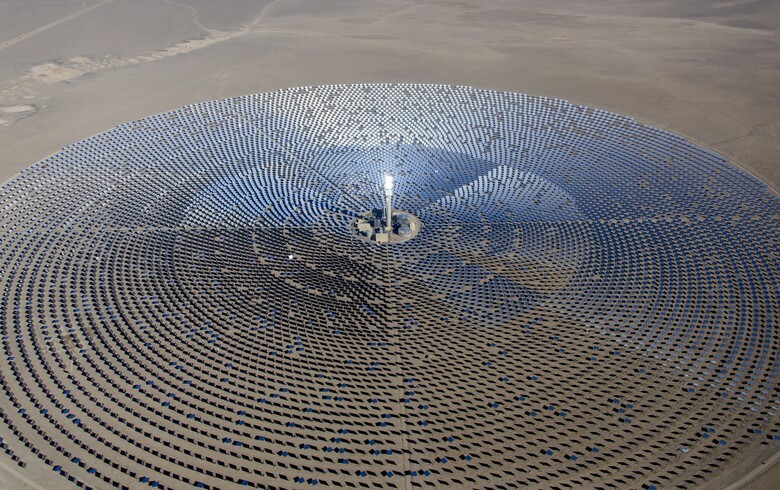 · they can delay the need for life extension technologies or repowering due to an extra built-in component reliability due to the extra loads margin. Because more project developers are seeking turbines at the higher power ratings to optimise investment returns on projects, the commercial impact to Vestas is relatively minimal, because more turbines are being sold in “power optimised mode” at 3.6 MW versus 3.3 MW or 3.45 MW. The end result is a product portfolio which is capable of being sold in all countries and in all wind regimes with a fewer number of specialised components on each turbine make or model. The modular architecture and re-use of components means that the Vestas product portfolio is now capable of being manufactured and sold globally in a cost-effective manner. At least one 3.X MW or 4.X MW product in most wind regimes / power density ranges between 180 – 400 W/sq m can be produced and sold anywhere around the world they have production capacity. As noted above, with a shift towards auctions / tenders globally, the supply chain will need to employ clever strategies such as this to continue to maintain their profitability. Those companies who do not understand the implications of this design philosophy, or choose not to replicate it will potentially find themselves consolidated out of an increasingly competitive and global market. Learn more about this and other trends by getting a Research Notes subscription from IntelStor (visit www.intelstor.com/reports for more details). A Daily Intelligence Brief is also available via a free subscription to the platform.